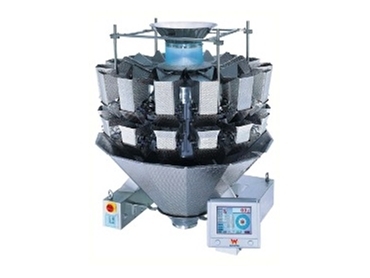 Multihead weighers will be on display on the Accuweigh stand at the Foodpro 2011 exhibition being held in Sydney from 10th July to 13th July 2011. Accuweigh will be showcasing their multihead weighers in addition to various products on Stand V28 at the exhibition. Accuweigh’s AW-M14H3 is a range of high speed multihead weighers featuring individual weight control for each linear feeder. A single load cell is centrally mounted under each weigh bucket to achieve up to 150 weighings per minute while ensuring increased accuracy and improved throughput. The AW-M14A multihead weighers are fitted with 14 individual weigh hoppers that are configured for staggered dumping to avoid product blockages in the transfer tube. Each weigh hopper has a volumetric capacity of 1.3 litres, but optional 2.5-litre hoppers are also available. Accuweigh is a leading Australian industrial weighing equipment manufacturer and will be displaying a diverse range of food industry products at this year’s Foodpro. Accuweigh operates eight branches across Australia providing sales and service on all weighing, packaging and food inspection equipment.